Leading Manufacturer and Supplier of Landing Valve such as Turn Down type Landing Valve, Straight Type Landing Valve, Oblique type Landing Valve and Oblique Type Outlet Landing Valve from Mumbai. Respected as a manufacturer, exporter, wholesaler, trader and retailer, we are engaged in offering Oblique type Landing Valve. Sturdy in construction, these valves are developed in adherence with the international quality standards to meet highest benchmarks of quality. Available in different specifications, these valves are appreciated by our clients. 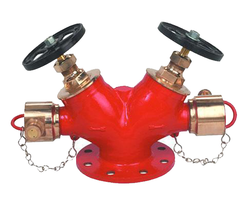 Started our business operations as a manufacturer, exporter, wholesaler, trader and retailer, we are engaged in offering our clients with Hydrant Valve. High in performance, these valves are manufactured in adherence with the international quality standards. 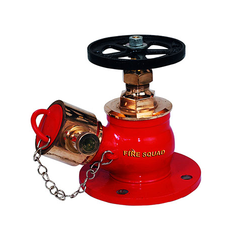 Robust in design, our offered valves undergo stringent quality tests to ensure durability. Supported by a team of diligent professionals, we have been able to manufacture, export, wholesale, trade and retail Straight Through Landing Valve. Incorporating innovative techniques and methodologies in the production process, we aim to attain maximum contentment of customers. Flawless in operations, these valves are widely demanded in national and international markets. 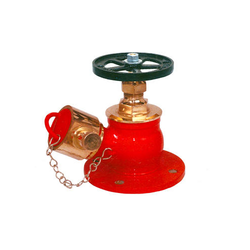 We are the prominent organization in offering Outlet Landing Valve of topnotch quality to the clients. Offered products are obtained from trustworthy vendors of the market to meet the clients needs. All our products are developed in such a manner that assure these products are effective, user-friendly and excellent in performance.